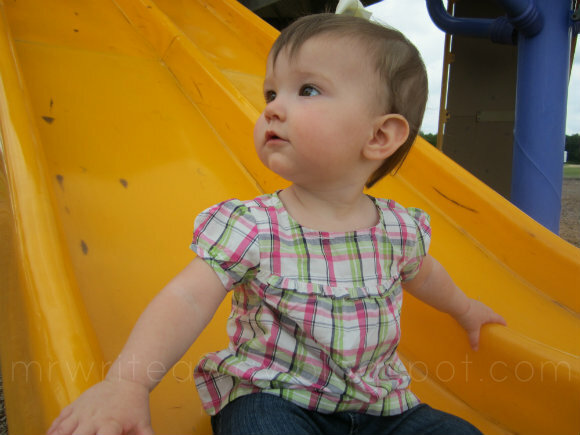 Last year, Madison turned one and we took her to the park for her birthday… just the three of us. Madison. Allison. And me. Our family. We were celebrating with a party involving extended family and friends on Saturday since her actual birthday fell on a Thursday, but we wanted to make the real day special for her. Both Allison and I took the day off work to give her our undivided attention. We wanted to catch every smile she threw at us, collecting them for a time when she would rather spend this day with her friends instead of her parents. We wanted to soak in her laughter and bathe in her joy and witness the wobble of her stance while she struggled for balance. We wanted to hold her in our arms as a baby forever. We wanted to remember those last 12 months that changed our lives for the better. We wanted her. An epiphany we had early on, but one that continues to reveal itself with every blink of those beautiful brown eyes. Today she turns two and we’re spending it with her again… just the three of us… memorizing every moment she blesses us with a smile from those little lips, every moment she runs full speed into my arms, every moment she screams with delight and puts her tiny hands on my face to look right in my eyes saying she loves me without using any words at all. Over the next few days she will open boxes covered in decorative paper and topped with bows to discover joy in the form of molded plastic and shades of pink. Meanwhile, her mother and I will stand back and watch as we battle the lumps in our throat that slowly evolve into wet eyes and wide smiles. We'll watch as the most perfect gift we've ever received, a gift that continues to give every day, transitions into her second year of life.